Full size details of all the standard redwood lumber patterns for redwood siding, redwood paneling and other redwood patterns. 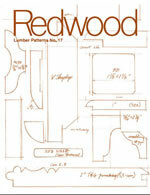 A catalog of the wide variety of contemporary and historic redwood lumber patterns we carry. 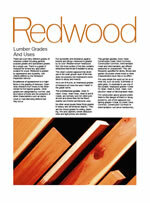 Illustrated guide to general purpose redwood grades. 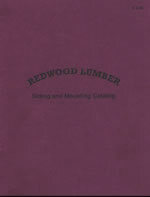 Colorful booklet shows a variety of architectural uses for redwood lumber products. 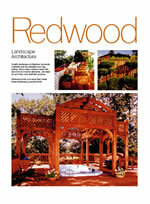 Idea booklet and specifying guide for redwood garden structures such as redwood decks, redwood pergolas, redwood benches and redwood fences and gates. Includes many color photos. 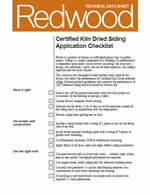 Builder's details for applying Certified Kiln Dried redwood siding; includes pattern profiles, nailing and finishing information. 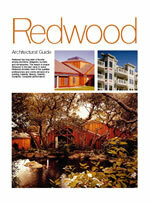 Easy-to-read chart describes and illustrates the variety of exterior finishes for redwood siding. 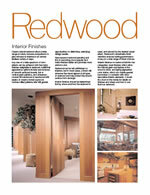 Easy-to-read chart describes and illustrates the variety of interior finishes for redwood paneling and redwood boards. 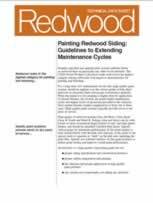 Technical data sheet describes preparation, painting and maintenance of exterior redwood siding. 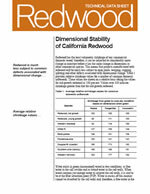 Technical data sheet discusses the low, relative shrinkage of redwood lumber. 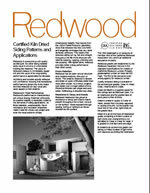 Helpful technical data sheet lists key points for proper installation of Certified Kiln Dried redwood siding. 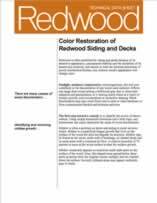 The recommended procedure for bringing back the natural wood color of redwood siding and decks. 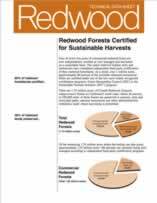 A comparison of the the environmental benefits of redwood decking over composite decking. Booklet containing information about green building principles and rating systems. 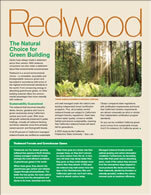 Data sheet with information on redwood as a green building material.